"Helping people experience God's life-changing love." It's our ALL-NEW, Blow-your-mind, EGGstra EGGciting, Mighty M-EGG-nificent, EASTER EGGSTRAVAGANZA, where you will EGGsperience...The REAL Easter story!! 37 Games! Candy! Egg Hunt! Epic Maze (NEW)! !, Putt-putt golf (NEW COURSE)!! Food! Sweet Walk! Laser Tag (New)!! All indoors!! ALL NEW Line Up! Grand Prize: Limo Ride & Pizza Party!! The child who brings the most guests to the Easter EGGstravaganza will win a Limousine Ride and Pizza Party for that child and ALL of their guests! Guests must be invited prior to the Easter Eggstravaganza and may not just be "collected" at the Easter Eggstravaganza. Guests must not be "regular attending" Richfielders. 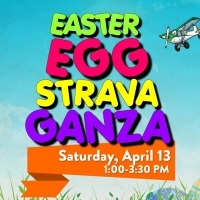 To be eligibile for the Grand Prize, the child and his/her guests must attend the Easter Eggstravaganza for at least one hour and must be present in the Sanctuary/Main Auditorium for the final station at 3:00 PM. The limousine will leave Richfield Naz at 3:30 PM and return by 5:30 PM. Children under the age of 18 must have a signed permission slip before riding in the limo.